While the engine's running, your vehicle's alternator is the ultimate source of electrical power for the vehicle itself and any aftermarket system you install. You can figure on about 40% of your alternator current capacity (amperes) as being available to power an aftermarket system. The unit of measure for current or electrical "flow" through a circuit — the amount of electrical charge passing per second. It is commonly abbreviated as "amp" and should not be confused with the word "amplifier," which is also commonly abbreviated as "amp." An amplifier is an electronic device that increases an electrical signal. A car amplifier boosts the input signal's voltage and current capability, so the signal's power also increases. Amplifiers are often called "amps," but you should not confuse them with amperes, which are also called "amps." American Wire Gauge (AWG) is the standard for measuring the diameter of electrical wires and cables. The smaller the AWG number, the larger the wire. Because of their high current demands, car amplifiers need large power wires to get enough energy from the battery to operate correctly. The more wattage an amplifier has, the larger the wires that provide power to it need to be. 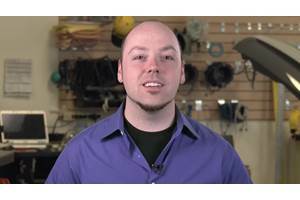 8-gauge and 4-gauge wires are commonly used sizes for powering car amplifiers. A bandpass filter allows frequencies that are within a certain range to pass through, but stops those frequencies that are higher and lower than that range. A bandpass filter actually employs both a high-pass filter to block low frequencies and a low-pass filter that blocks high frequencies. Bandpass filters are often used with midrange speakers to keep very high and very low notes away. The lower part of the audio spectrum, stretching from the lowest audible note at 20 Hz to around 100 Hz, is considered bass. It takes much more amplifier power to produce bass notes than other frequencies because of the large size of the bass sound waves and the large amount of air movement required for them to make sound. Increases the output of low frequencies. Usually centered somewhere between 40 and 90 Hz, many amps have variably controlled circuits that allow you to increase the bass level in dB increments (ie. 0-12 dB at 45Hz). Some tunable bass boosts allow you to adjust the center frequency, changing the character of the bass. If you do choose to boost the bass, you will then need to re-adjust the amp's gain, to compensate for the boost and prevent the amp from clipping and distorting. Bi-amping, or bi-amplification, is when each component in a speaker system — a tweeter or woofer, for instance — is driven by its own separate amplifier channel. When bi-amping, crossovers must be employed to keep low notes away from the tweeters and high notes from the woofers. 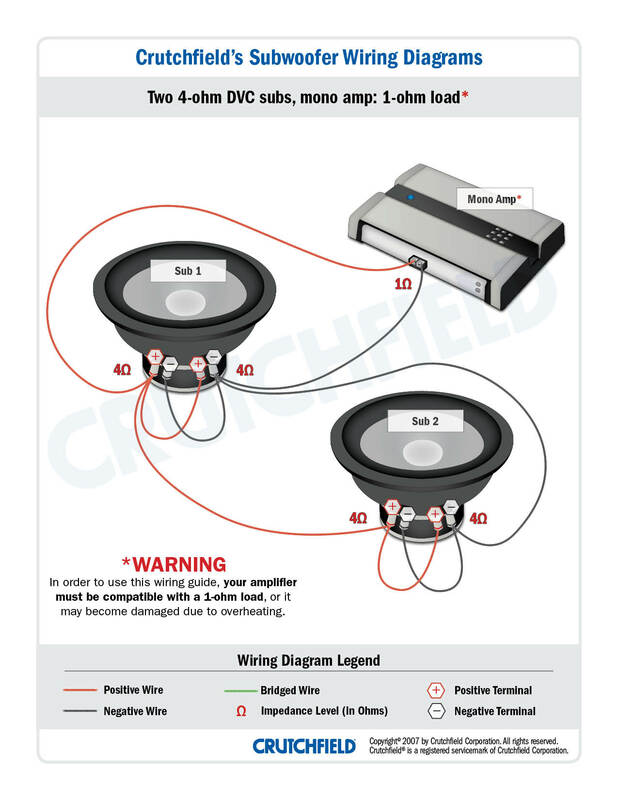 Bi-amping (also called "running active") allows you much more control over your system's power and tone than with a "passive" system, where each pair of tweeters and woofers are run by a single amp channel. When you bridge an amplifier, you combine the power output of two channels into one channel. For example, a 2-channel amp that puts out 75 watts RMS per channel at 4 ohms may be able to put out as much as 200 watts RMS at 4 ohms into one channel when bridged,. Because of this high power output, bridging is a great way to drive a subwoofer. If your amp is bridgeable, the owner's manual will have directions that tell you how. Each amplifier is different, but usually, an amp is bridged by connecting the speaker leads to the positive (+) terminal of one channel and the negative (-) terminal of the other channel. However, you should be sure to consult your owner's manual before attempting to bridge your amp. Most amplifiers have crossovers built into their circuitry. Crossovers consist of both high-pass and low-pass filters. Often used to keep high-frequencies from reaching a subwoofer, a low-pass filter allows only frequencies below the crossover point to be amplified. A high-pass filter allows only frequencies above the crossover point to be amplified — useful for keeping low bass away from small speakers, so they can play more efficiently. Crossovers are usually listed as variable or selectable. Continuously Variable means the crossover can be freely adjusted to any frequency between the listed end points. Selectable means that you can choose from several preset crossover points. A capacitor is an electronic component that stores and releases electrical charge. Heavy-duty capacitors are often used as a buffer zone between your amp and your car's electrical system to prevent the car's lights from dimming during loud playback. They store up a reservoir of power, which can supply the amplifier's peak demands (like a kick drum beat) without having to get additional current from the battery. 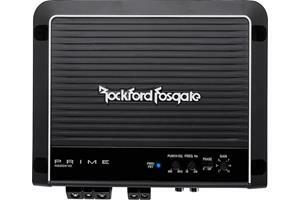 All amplifiers have built-in capacitors, though high-performance amps use larger, more effective ones. External capacitors connect to the power cable just before it reaches your amplifier. On May 28, 2003, the Consumer Electronics Association (now known as the Consumer Technology Association) published standard CEA-2006, "Testing & Measurement Methods for Mobile Audio Amplifiers." This "voluntary" standard advocates a uniform method for determining an amplifier's RMS power and signal-to-noise ratio. Using 14.4 volts, RMS watts are measured into a 4-ohm impedance load at 1 percent Total Harmonic Distortion (THD) plus noise, at a frequency range (for general purpose amplifiers) of 20 Hz to 20,000 Hz. Signal-to-Noise ratio is measured in weighted absolute decibels (dBA) at a reference of 1 watt into 4 ohms. This applies to both external amplifiers and the amplifiers within in-dash receivers. 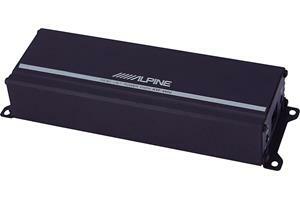 CEA-2006 allows consumers to be able to compare car amplifiers and receivers on an equal basis. Manufacturers who choose to abide by the new standard are able to stamp their products with the CEA-2006 logo that reads: "Amp Power Standard CEA-2006 Compliant." An amplifier is classified according to its circuit design and the way its output stages are powered. Although some may assume that for every portion of the input signal there is corresponding 100% output from the amplifier, power dissipation (in the form of heat) and distortion of the audio signal are two key factors in determining the efficiency and fidelity of an amplifier. Each class has its own performance characteristics and advantages. Class A amplifiers are desirable for the high quality of their sound, but, because of the configuration of its transistors, a pure class A amplifier is inefficient and runs very hot. This is because even when there is no audio signal, the output transistors always have current running through them. The current flowing through the output transistors (with no audio signal) causes the amp to heat up unnecessarily, and "waste" input energy. 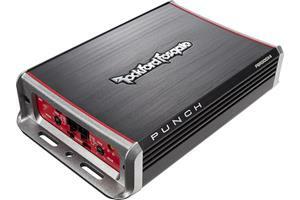 Most car amplifiers that boast "Class A" circuitry are really Class A/Class AB hybrids. The output transistors of Class B amplifiers actually turn off for half of every signal cycle. This improves efficiency and saves energy, but introduces some distortion during the switching periods. Class AB amplifiers also allow current to run through the output transistors when there is no audio signal, but at a much lower level. A class AB amplifier runs cooler, and therefore, more efficiently than a class A, with low distortion and high reliability. Class D amplifiers use output transistors as switches to control power distribution — the transistors rapidly switch on and off at least twice during every signal cycle. Class D amps boast higher efficiency, produce less heat, and draw less current than traditional Class AB designs. Class D amplifiers produce higher distortion than AB designs due to the high-speed switching on and off of the transistors, but this distortion occurs at frequencies above hearing, and is easily removed by a low-pass filter. Class A/D amplifiers utilize a Class A input section and a Class D output. Class AB/D amplifiers similarly have Class AB inputs and Class D outputs. Class BD amps give you the super-efficient design of a Class D amp with the clarity and sound quality of a Class B amp. A BR, "Boosted Rail" amplifier uses capacitors to pump up the amp's internal operating voltage to 24 volts whenever the peak of the output signal exceeds 12 volts, increasing the amplifier's power accordingly. The capacitors recharge every time the signal's wave dips back below 12 volts between peaks. Class FD technology is Pioneer Electronics' version of full-range Class D operation which filters out the switching signal's distortion and its harmonics. Clipping occurs when an audio circuit's maximum capacity is exceded. The circuit won't reproduce the highest and lowest parts of the signal, "clipping off" the round tops and bottoms of the musical waveforms, leaving them square, and introducing a huge amount of distortion into the output signal. Clipping can be heard as a crunching or tinny sound on musical peaks. A clipped signal, especially one that has been amplified, can be very destructive to your speakers and subs. In high-pass filters, low-pass filters, and crossovers, the crossover point is the frequency at which the level of the output signal has been reduced by 3 dB, half its power level. The rate at which the crossover attenuates the blocked frequencies. Slope is expressed as decibels per octave. A 6dB per octave crossover reduces signal level by 6dB in every octave starting at the crossover point. This means that every time the frequency of the audio signal is changed by a factor of 2 (one octave), the level of the audio signal will change by 6dB. For example, if your low-pass filter is set at 80Hz with a 6dB slope, you'll see a drop in level of 6dB at 160Hz. With slopes of 12dB and higher, you'll hear little output beyond the crossover point. Current, measured in amperes, describes the amount of electrical charge passing through a circuit per second. 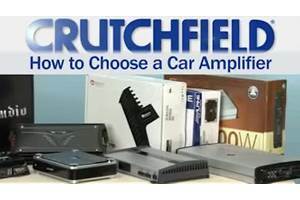 In order to put out the amount of power (watts) needed to successfully drive speakers or a sub while restricted to the low voltage (12 volts) of a car electrical system, an amplifier will draw and put out large amounts of current. The high current present in car amplifier power wiring is dangerous, so using the proper size wire and fuses is crucial to the safety of you and your car. Damping is the ability of a amplifier to stop the speaker cone from continuing to vibrate after the signal stops. An amplifier with good damping plays sound cleanly with no hint of unintentional echoes or reverberations. The higher the damping factor, the greater the accuracy. And don't forget — it's damping, not dampening (which means getting something wet). The standard unit of measure for expressing relative power or amplitude differences. A decibel describes the ratio between the value of a measurement and a reference point. With audio, it often represents loudness, or sound pressure level (SPL). One dB is the smallest change in loudness most people can detect. A 1 dB difference is barely noticeable, but a 10 dB difference is big — a speaker playing at 10 dB higher volume will sound roughly twice as loud. Another dB fact: For any given set of speakers, each 3 dB increase in sound level (SPL) requires a doubling of the amplifier power. 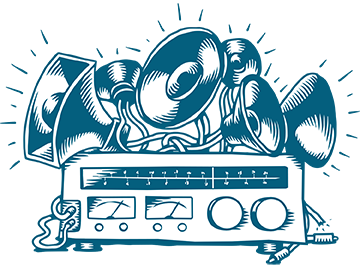 Distortion is the unwanted addition to an original signal that changes its sound. Increasing and decreasing volume doesn't count. Typical distorted sounds include audible hums, pops, tones and voices sounding scratchy, and drum beats crackling. Distortion is most often introduced by a system being played too loud. An amplifier's efficiency is how much it puts out compared to how much it consumes. A typical Class AB amplifier putting out 100 watts RMS will be pulling 200 watts RMS of power from its source, resulting in a 50% efficiency rating. Class D amplifiers generally are more efficient than AB amps — often reaching 75% or 80% — which allows them to be more compact, so they can fit in more places in a vehicle. Feedback refers to a device's output being picked up by its input.. For PA systems, this is very bad, producing that familiar and loud ringing noise. But in an amplifier's internal circuitry, output signals are often fed back to the input section in order to reduce noise and distortion. In audio, "frequency" is another word for "note," or a tone's pitch. An audio device's frequency response is a measure of how well the device handles all the notes in the audible spectrum, from lowest to highest. Human hearing reportedly has a frequency response of 20 to 20,000 Hz, but the high end rolls off with age. Fuses exist to save your wiring, your car, and your life from burning up in the event of a short circuit or other catastrophic overload. You should always fuse your main power cable as close to the battery as possible, so in case of an accident, you won't have a live, and dangerous, wire running throughout your vehicle. Replacing a five-dollar fuse is a lot cheaper than having to replace your car. Insurance companies probably will not cover damage due to the kind of negligence not installing a fuse demonstrates. Gain, as it applies to car amplifiers, refers to the input sensitivity adjustment necessary to match an amplifier's input to the receiver's output. Properly setting the gain reduces background noise, and prevents an amp from "clipping," which can damage speakers. Ground is the reference point (zero volts) for measuring voltage, power, and signal. It completes the system's power flow from the battery, through the amplifier, and back to the battery. In automotive electronics, the vehicle's metallic frame is ground. That's what the negative terminal of the battery is directly wired to. In car audio, loose ground connections are responsible for more trouble than anything else, by far. Make sure your amplifier is grounded tightly to the main chassis of your vehicle, with all the dirt and paint removed where contact is made. Headroom is the distance between a normal listening level and the loudest level the amp can deliver quickly and cleanly — when the music demands it, for instance. Having little headroom means your amp can't reproduce sudden bursts of energetic music very well. 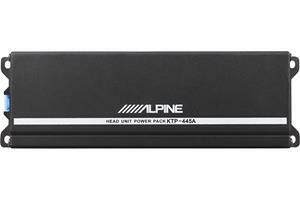 The more powerful your amplifier, the more headroom it will have. A heatsink is a metal structure used in electronics to draw heat away from critical components and dissipate it into the air, usually via cooling fins. ICEPower is a technology developed by Bang and Olfsen which reduces distortion in Class D amplifiers by rapidly sampling and correcting the output signal in relation to the input signal. Impedance is the opposition or resistance to the flow of alternating current by a coil, inductor, or an electrical circuit at a given frequency. Impedance is measured in ohms. Although car audio manufacturers label the impedance of most car speakers at 4-ohms, the impedance of a speaker is actually not a constant. It's actual impedance changes with frequency and can vary greatly. Therefore, though 4-ohms is the standard impedance in car audio, this standard is more of an average impedance for speakers and amplifiers when driven within the part of the audio spectrum for which they are designed. Power (watts) = amperes x volts. Erroneously referenced as a second part of Ohm's Law. An LOC is a device used to connect an amplifier's inputs to a vehicle's speaker wiring — reducing the amplified signal down to a level the amp can handle. An amplifier sees the speaker or sub it drives as a work-load that puts up a resistance to its output. The higher a speaker's impedance, the larger the load the amp perceives. Amplifiers are all designed to work with specific loads. Too heavy a load, and the amp bogs down and can't deliver its full power to the speaker. Too light a load, and the amp runs amok, stealing power from the electrical system, and overheating. Loudness is a subjective perception related to sound pressure level (SPL), but no one knows exactly how. Doubling the power of a signal, giving it a 3 dB gain in SPL, doesn't make it sound twice as loud. A 10 dB gain in SPL will sound about twice as loud. A low-pass filter is an electronic circuit that removes all the notes above the filter's frequency setting. A low-pass filter, set at 100 Hz for example, will block the notes above 100 Hz and allow those under that to pass. Low-pass filters are primarily used to keep high notes from subwoofers. Mono (or monaural) amplifiers are single channel amps, well suited for low-frequency applications since the human ear cannot distinguish stereo in the extreme bass range. Also, since mono amplifiers are stable to 2-ohms, you can connect them safely to two 4-ohm woofers wired in parallel. Metal Oxide Semiconductor Field Effect Transistors (MOSFET) have a higher switching speed than normal bipolar transistors and generate very little heat. MOSFETs offer fast response and high efficiency. The unit of measurement for impedance or resistance. It tells you how much a device will resist the flow of current given it. If you take two signals of exactly the same voltage strength and send one to a 4-ohm speaker and the other to an 8-ohm speaker, twice as much current will flow through the 4-ohm speaker. In other words, the 8-ohm speaker will require twice as much power (wattage) to play at the same volume. Volts = amperes x resistance (ohms). Ohm's Law, often used with Joule's Law (watts = amperes x volts), is a powerful and necessary tool for matching amplifiers with speakers and subs. Polarity describes how the positive and negative power wires and the speaker wires are hooked up. Having the proper polarity means the battery is connected correctly — positive to power, negative to ground — and that the speakers are all connected so their positive terminals connect to the amp's positive terminals and their negative terminals to the amp's negative terminals. This last ensures that all the speaker cones will move forward on positive electric pulses and rearward on negative pulses. Phase, which is often confused with polarity, describes the acoustic alignment of sound waves, while polarity describes how the speakers are wired together. Power is the amount of work done per second, expressed in watts. It is the product of the amount of electrical current (amperes) and the pressure (volts) on that current. Preamp outputs on an amplifier let you pass a line-level signal to additional amps, saving you from having to run more long patch cords to your receiver or to use unreliable y-adapters in order to hook up all your amps. Originally, the Radio Corporation of America (RCA) developed these unbalanced pin connectors, also called phono connectors, for the radios and televisions they manufactured in the 1930s. Now, they've become the industry standard for connecting consumer electronic components together. The opposition to the flow of electrical current. Resistance is measured in Ohms. The amount of continuous power, measured in watts, that an amplifier produces is called RMS power. RMS ("Root Mean Square") is a mathematical way of obtaining a useful average when discussing power capabilities. The higher the RMS figure, the louder and cleaner your music sounds. When choosing an amplifier, the RMS rating is the only power rating you should pay attention to. Also, keep in mind that some manufacturers calculate the RMS power ratings of their amplifiers at different input voltages. For example, an amplifier rated at 100 watts RMS at 12 volts can produce considerably more power than an amp rated at 100 watts RMS at the more typical 14.4 volts. Stereo manufacturers often display peak power ratings on the face of their products. The peak power rating tells you the maximum wattage an amplifier can deliver as a brief burst during a musical peak, like a dramatic drum accent. The RMS figure is more significant and more indicative of the amp's long-term performance. Amplifiers are usually rated for 4-ohm loads, but this spec tells you how much more power your amp delivers when presented with a 2-ohm load. You can achieve a 2-ohm load by parallel wiring two 4-ohm speakers together or by using a 2-ohm speaker or subwoofer. Theoretically, amp output should exactly double as the impedance drops from the usual 4 ohms to 2 ohms. However, many amp makers use different degrees of voltage regulation in their power supplies, which can restrict the actual increase in output. SPL is measured in dB — an acoustic measurement of sound energy. One dB SPL is the smallest audible difference in sound level. 0dB SPL is the threshold of human hearing, while noise measuring 120dB will damage your hearing. Also called high-level inputs, speaker-level inputs accept signal from a receiver's speaker outputs, letting you connect the amp to a receiver that lacks RCA preamp outputs. In other words, an amplifier with speaker-level inputs has a built-in Line Output Converter (LOC). Also called an infrasonic filter, a subsonic filter cuts off extremely low bass (often below the range of human hearing) that many speakers and subwoofers cannot effectively reproduce, thereby making the amplifier and the speaker, more efficient. Subsonic filters are also used with ported subwoofer enclosures to reduce the loud booming notes around the box's resonant frequency. Amount of change in harmonic content of the signal as it is amplified. A lower figure indicates less change and a more accurate amp. THD below 1% is inaudible. A stereo amp with Tri-Way capability can power a pair of stereo speakers and a single subwoofer. Sometimes called Dual Mode, this setup powers a pair of stereo speakers and one subwoofer simultaneously from the outputs of a single 2-channel amplifier. It's an affordable way to drive a subwoofer. It requires an external Tri-Way adapter that is connected in-line between your amplifier and your speakers. A small gauge wire, running from a receiver to an amplifier, that triggers the amp to turn on when the receiver is switched on. A unit of electrical force, analogous to pressure. Voltage pushes the current through an electrical circuit, and is equal in value to the current, measured in amperes, multiplied by the resistance, in ohms. The subjective perception of how loud a sound is, or how well it fills the listening space. Volume and loudness are subjective, because everyone reacts to sound differently. A sound's pressure level (SPL), or intensity, is the objective measurement used to compare different-volume sounds. A unit measurement of power, or how much work something does. The wattage of an amplifier or sound system is used as a rough measure of how loud it can play. In electrical circuits, power, measured in watts, equals the voltage multiplied by the current, measured in amperes. A y-cord is used to split a single signal for two inputs. Y-cords should never be used to combine two outputs together, as that could damage both. Allan, Use those so-called CEA ratings, the others are exaggerations. If your goal is for the amp to put out 2000 watts through a 1-ohm load, your target is 44.7 volts AC. Use a 60 Hz tone, for the best accuracy using a multimeter. I recently purchased a Rockville rxd M5 amplifier. 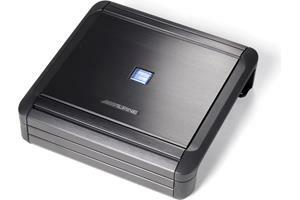 It is rated at 4000 watt RMS at 1 ohm and 2000 Watt cea at 1 ohm. When adjusting the amplifier gain using a digital multimeter, should I set the voltage at the cea raking or at the RMS rating? There is a considerable voltage difference and don't want to blow my subwoofers. Hopefully somebody can help, thank you. Harlowe, Thanks for the compliment Sorry you're bothered by bassheads, but I wonder why your comment appears on a car amplifier glossary page? This is an excellent ad because it's accurate and informative. But people who pump out bass from their cars are real jerks. It's audio assault if I can feel the bass in my walls or my nerves. Too bad the bass-heads don't learn more from ads/articles like this. They might realize their neanderthal urge to shoot all their equalizer levels up is actually distorting their music. I know that audiophiles like the writer of this article probably aren't the real problem. But the typical bass boomer... is a real problem. 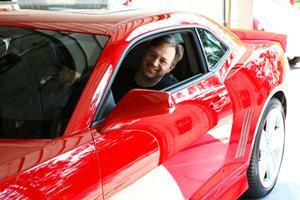 Andrew, For help tuning your subwoofers and system to sound their best, check out our Tuning your subs article. I have a KX 800.1 Kicker amp pushing 2 2 Ohms Kicker CompRT's. And I would like to know what yo think is a good amp tuning setup would be. Jim, If your subs are Coustic CF1044s, they're dual voice coil (DVC) 4-ohm subs and two of them can only get wired together to form a 1 ohm, a 4 ohm, or a 16 ohm load.